yes! Especially when I wake up (like today was the worst in a while) I have to put TONS of layers of medicated Chapstick brand before i go to bed to keep my lips from getting too bad. 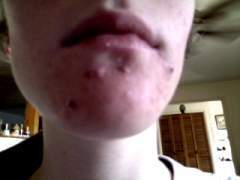 I love Dan's CortiBalm but it just didnt look right on my lips so i had to quit using it, except when i was at home. I use the pink Head & Shoulders. It helps with dry frizzy hair, and Accutane has made my long hair fragile. So i had to cut it really short the other day Its still thin compared to pre-Accutane. But the Head & Shoulders works wonders. Ive had the same question! I'm extremely pale now since the sun hates me on Accutane, and i cant use a tanning bed. I want to try one but i really don't want to be orange. The Caress skin tone evening body wash works great, by the way. Im a dependent. I can see any doctor I want on both insurances I have, so i see a civilian one. And I got my bill for my appointment today, and TriCare picked up fifty something dollars for my doctor visits so hopefully it'll keep doing that. I went through the same thing for a while. But then i found the medicated Chapstick brand. I didnt think it would work that well, but its actually very incredible and soothing. Oh ok. thanks, I'll probably look into that soon. I am paying $70 out of pocket for my derm appointment every month now. At least I'm near the end. Yep, just started my 4th month. I think its really worth it. When i went to pick up my4th prescription for Accutane, they said I already met my $1200 limit for the year (partly due to Yaz). And i received a letter not to long ago saying that my doctor visit limit has been exceeded too. I have TriCare through the army as well but Im not sure if it will pick much up. It did cover the prescription cost (went from $240 down to $3, but idk how much more it will cover since i hardly ever use it) Has anyone else exceeded their insurance limits?? Yeah, I agree. I think its because if people have to pay for it, they are more likely to use it rather than it going to waste. I like being on Yaz. 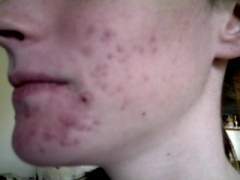 I didn't get the big initial breakout that most people get when they start accutane, since Yaz helps with acne too. Yes, you have to pay for it. I started Yaz and its $20 a month with insurance. If you have TriCare through the army, it'll be cheaper. Start of My 4th Month! So Excited! (: (: (: No zits, just scars and red marks at the moment!! I drove roughly 60 miles in the dark today and I noticed my vision was much worse. 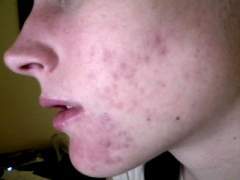 I started my 4th month of Accutane today. It wasn't bad or anything, but it was like i couldn't really focus completely. I usually don't drive really late so it took me a while to notice. If you feel the vision ends up getting worse, getting it checked should be the best thing, of course. 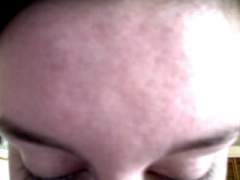 Forehead has had no major breakouts....but for some reason its not as smooth as it usually is. I can't WAIT for these red marks to leave....its hard to enjoy the clearer skin with them. 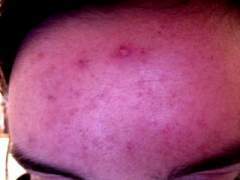 I woke up this morning and for some reason, all my active pimples had those balck heads, idk why. 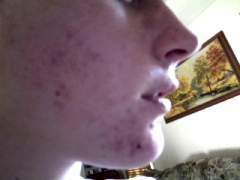 Month 2-ish of Accutane..Seeing Results! I just started with thrid month, i have about 20 more weeks. First 2 months were 40mg/day. This month is 60 mg/day. He doesnt think I'll go up any more than 80, if I ever go up that much. 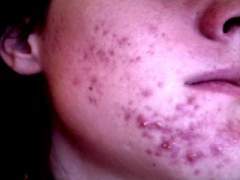 Is there a product that will greatly reduce my pore size or at least make them seem smaller? My pores under my eyes and on my nose are extremely visible..Im really self-conscious about them and I'm wondering if there's a good product out there. Either in make up or a facial treatment/wash/lotion, etc. 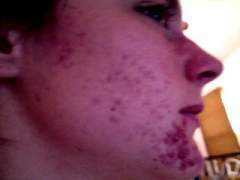 Oh, Im also on Accutane 60 mg a day....there are probably some products i should avoid. I use Cetaphil moisturizer. It makes my face a tad greasy which i dont like it, but it pat it down with a towel after i put it on. Its basically anti-bacterial and wont clog pores or anything. Thanks! Im really looking forward to them disappearing! 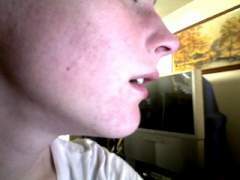 I'm almost to month 3 and I only have like 3 pimples at the moment but TONS of redmarks. I cant wait! still see scars...just hoping & praying they dont last long! 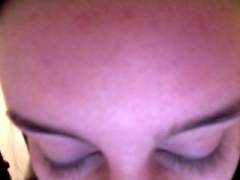 I love love love my forehead! Its already so beautiful and i cant wait for the rest of my face to catch up!